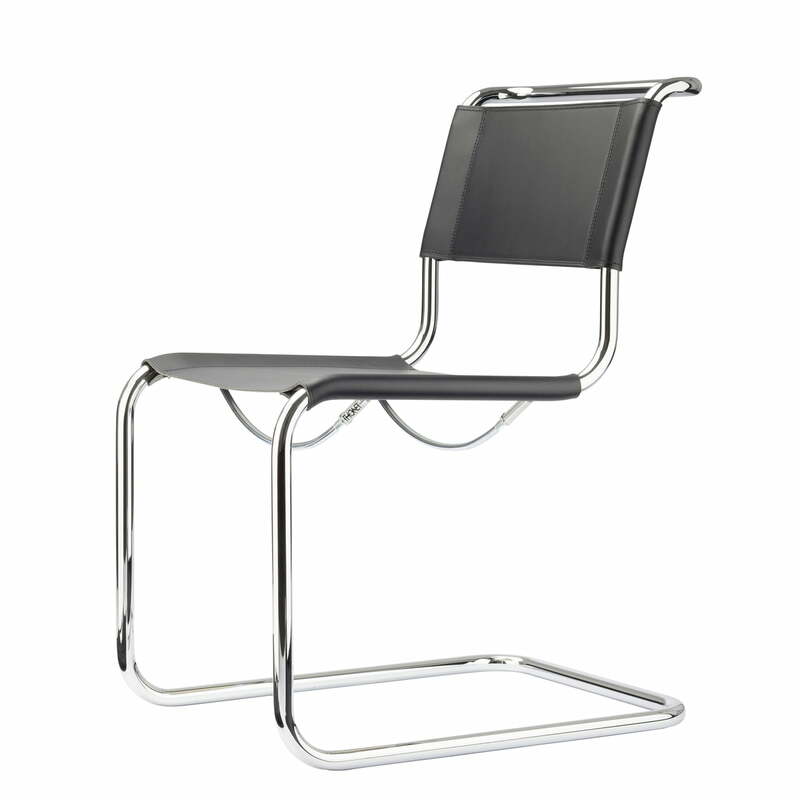 The S 33 is the first cantilevered chair in the history of furniture. It was presented for the first time in 1927 in the Weissenhof-Siedlung in Stuttgart by Mart Stam. The then innovative concept of a chair that was no longer focused on having four legs became a part of design history and a classic design, that has lost none of its charm. The S 33 chair is characterised by its minimalistic appearance and its comfortable, springy feel. The versatility of the classic design out of steel is also expressed with the choice of materials. The steel structure can be upholstered with leather or mesh fabric of different colours and designs as well as being available for outdoor use (Thonet all seasons). 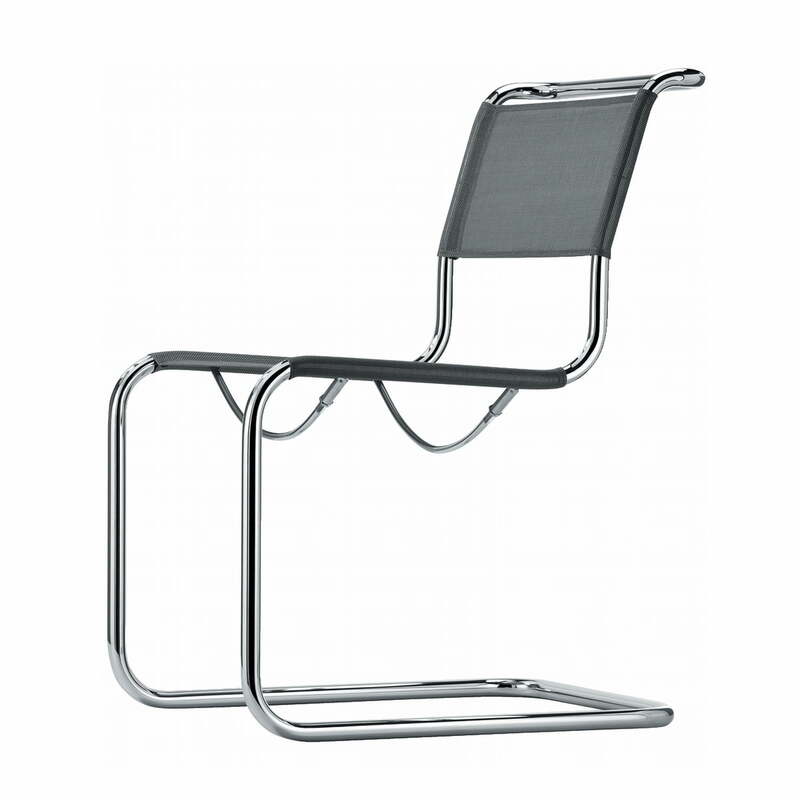 The 33 N cantilever chair by Mart Stam for Thonet S consists of a chrome-plated tubular steel frame, which is cold-bent into shape. Seat and back consist of slightly transparent mesh fabric in different colours. The S 33 is the first cantilevered chair in the history of furniture. It was presented for the first time in 1927 in the Weissenhof-Siedlung in Stuttgart by Mart Stam. 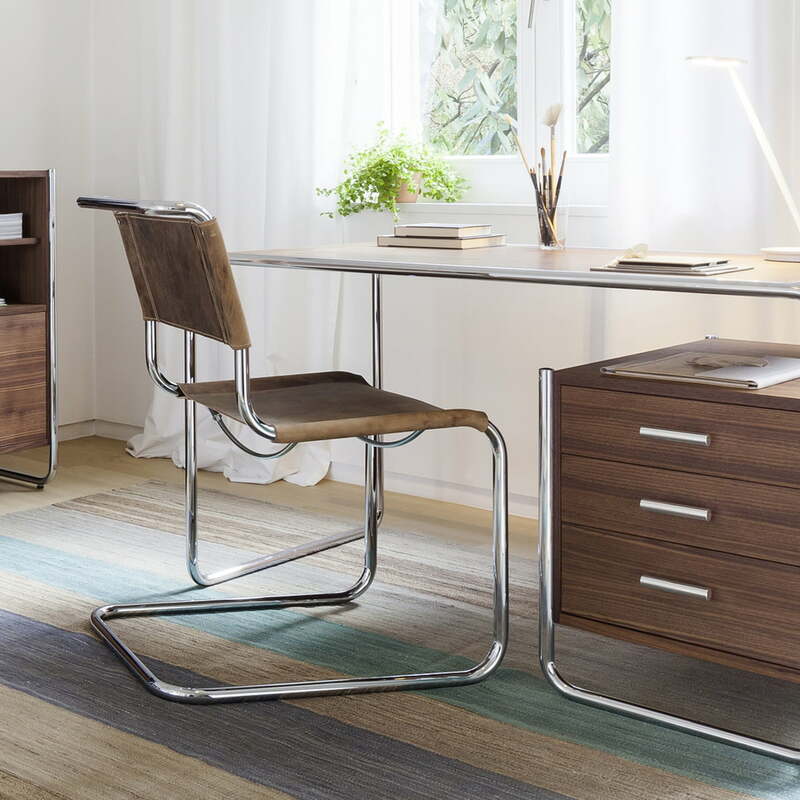 S 33 cantilever chair by Thonet in the study: The classic chair fits into any room, be it at the table in the dining room or at the desk in the study.